You might be having more than 1 profiles on the LinkedIn site and you may not be know about it. An incomplete and neglected duplicate profile is of no use; neither for you nor for others. So it's better to have 1 active profile on social networking sites. 1. Select the profile which you want to keep active. Generally it should be the one which has the higher no. of connections. 2. Login to the profile to be deleted. 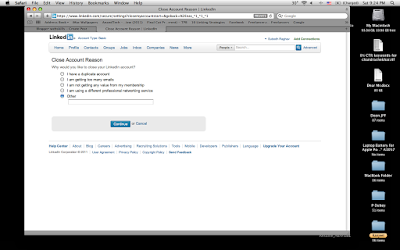 Go to top right and click on the your name. 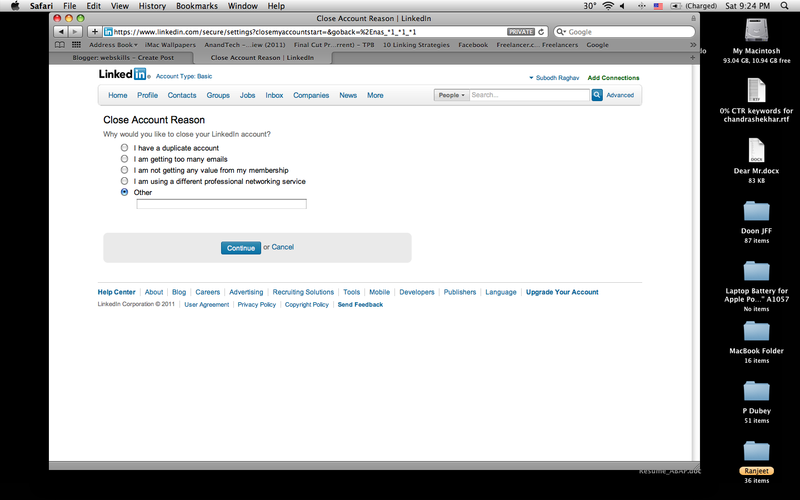 From settings, go to Account tab and select "Close My Account". 3. Follow the instructions until your are finished.